There are so many secrets and mystery! So, you are the only one, who can find everything for the police. 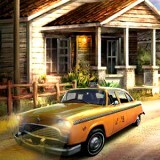 Just use all the tips and help police to solve the main riddle of this place. Everything depends on you now, just do it right now and have much fun!